LOVE HIT ME!-DECCA BEAT GIRLS 1962-1970. The post-Beatles’ pop boom of the early sixties seemed to catch some record labels unaware. They came to the party late. Some label executives thought that pop music was a passing fad, and were reluctant to commit scarce resources to it. This had disastrous consequences. By the time, these labels eventually arrived at the party, their competitors had signed the most talented artists. One of the labels who had arrived at the party early were Decca. During the sixties, Decca had an enviable network of A&R executives and talent scouts across Britain. Their finger was on the pulse of the local music scene. Night after night, talent scouts headed out to local pubs and clubs, where they listened to new bands and singers. Promising artists were signed to contracts, before other labels even had a chance to hear them. This included Billie Davis, Dana Gillespie, Marianne Faithfull, Elkie Brooks, Adrienne Poster, Lulu, Louise Cordet, The Blue Orchids and Jean Martin. These artists feature on Ace Records’ recently released twenty-four track compilation, Love Hit Me!-Decca Beat Girls 1962-1970. It’s fitting that Billie Davis opens Love Hit Me!-Decca Beat Girls 1962-1970. Her career spans most of the period the compilation covers. Sixteen year old Billie Davis was discovered by a scout working for producer Joe Meek. He signed Billie, and she recorded several singles with the legendary producer. That was until musical ‘impresario’ Robert Stigwood managed to convince Billie she had a brighter future at Decca. This proved to the case. 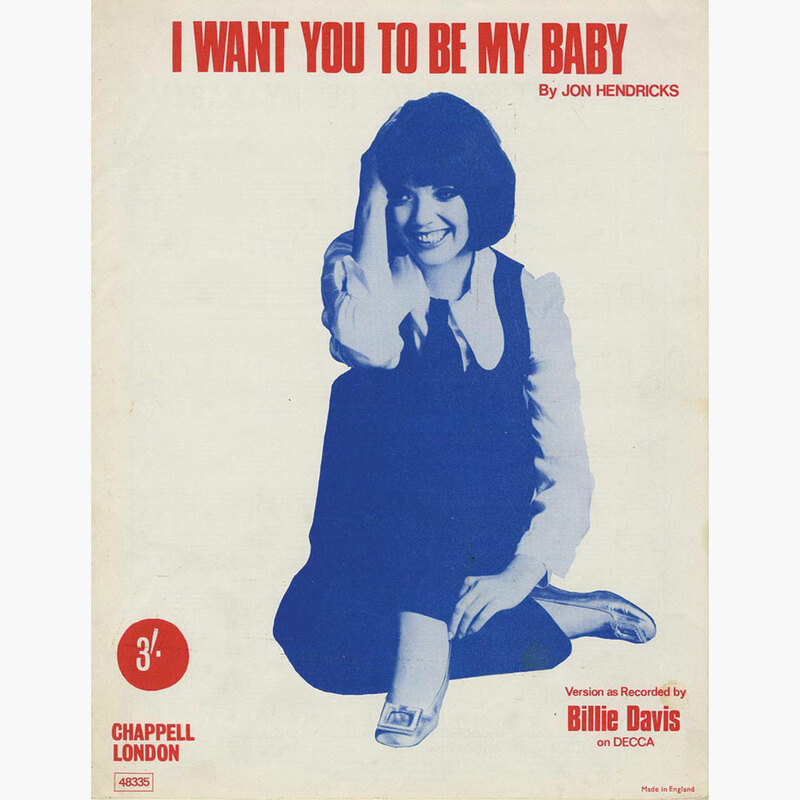 In 1968, Billie Davis released a cover of Jon Hendricks’ I Want You To Be My Baby as a single. It was produced by Michael Aldred, and on its release, gave Billie a hit worldwide. No wonder. It’s poppy, soulful and full of hooks. 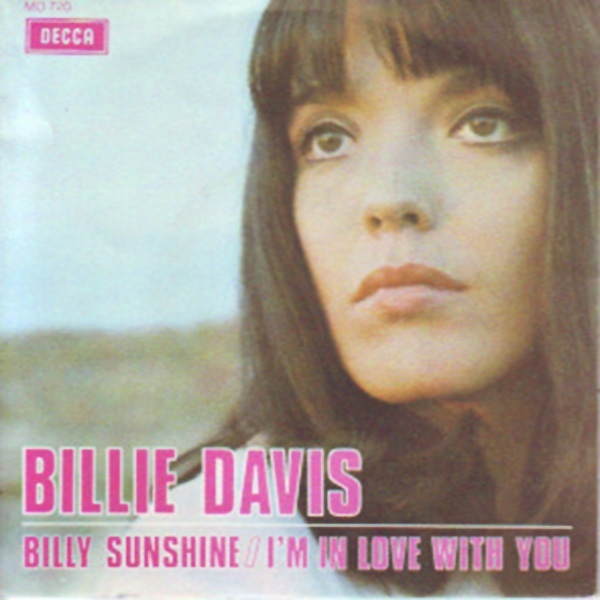 Billie’s other contribution is I’m In Love With You, which was the B-Side to her 1970 single Billy Sunshine. I’m In Love With You was also produced by Michael Aldred. He provides the perfect backdrop for a soul-baring vocal on this paean. 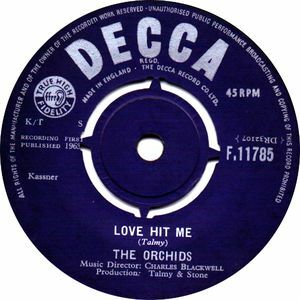 It’s too good to be hidden away on a B-Side, and is the perfect track to open Love Hit Me!-Decca Beat Girls 1962-1970. 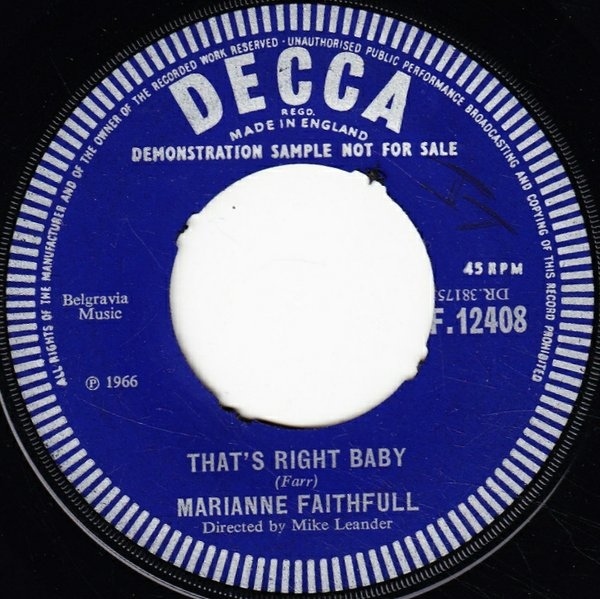 In 1964, Marianne Faithfull was discovered at a record launch by Andrew Loog Oldham. Within months, Marianne had released her classic single As Tears Go By. Two years later, Marianne released Tomorrow’s Calling in May 1966. On the B-Side was the Michael Farr composition That’s Right Baby. Moody, melancholy and cinematic Marianne brings the lyrics to this hidden gem to life. A year later, Marianne returned with a very different track. Throughout the sixties, the Ye-Ye singers were popular across Europe. They were female vocalists, who recorded in several languages. 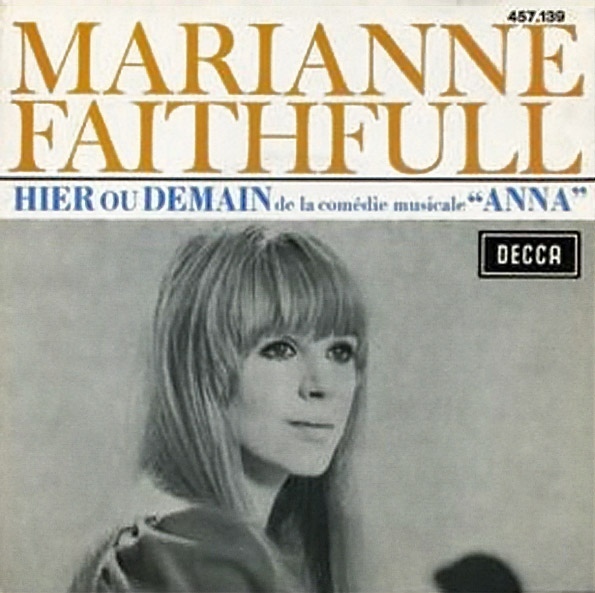 Marianne Faithful spoke fluent French, and in 1967, recorded Serge Gainsbourgh’s Hier Ou Demain. It was the title-track to Marianne’s E.P Her delivery of this ballad is flawless. She gets across the song’s nuances and subtleties, with a vocal that’s full of emotion, sadness and melancholia. Years ago, one of the easiest ways to enjoy a hit single, was to have it banned by the BBC. Then curiosity kicked in, and record buyers bought a copy. The next thing the artist had a hit on their hands. 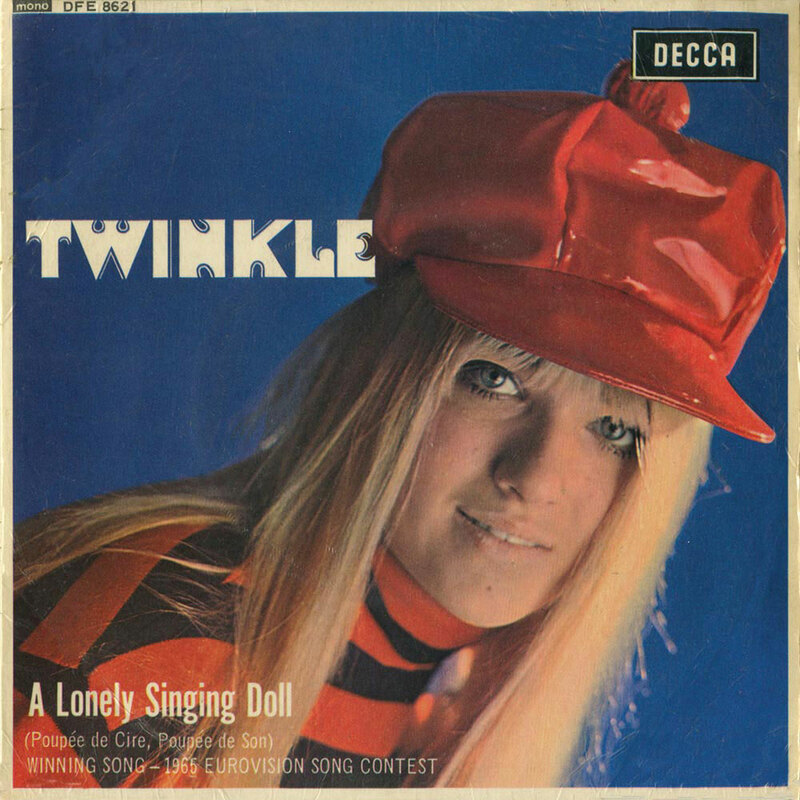 Twinkle is a case in point. She wrote Terry, which the Director General of the BBC banned in 1964, after calling it: “dangerous drivel”. This was the best thing that could happen to Twinkle Ripley, as the song went on to sell 250,000 copies and reach the top ten. For the followup, Terry penned the acoustic ballad Golden Lights. It was released in 1965. 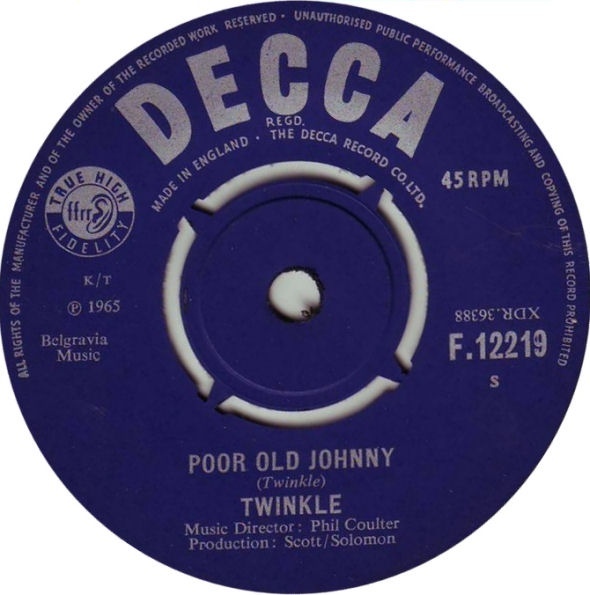 So was Poor Old Johnny, a musical soap opera about a man whose taken a wrong turn in life. 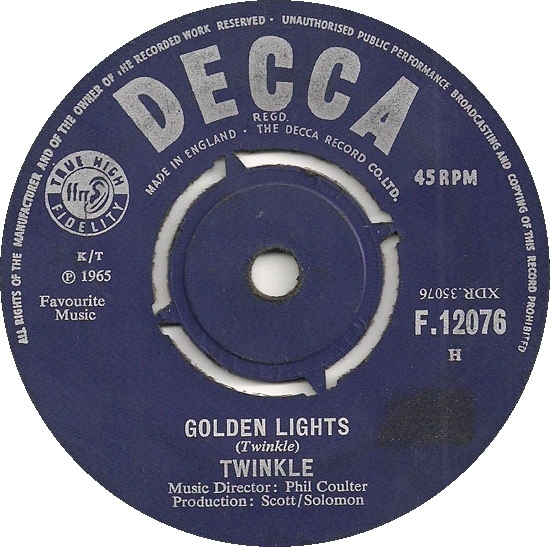 Just like Golden Lights, it was penned by Twinkle, and produced by Tommy Coulter and Phil Solomon. 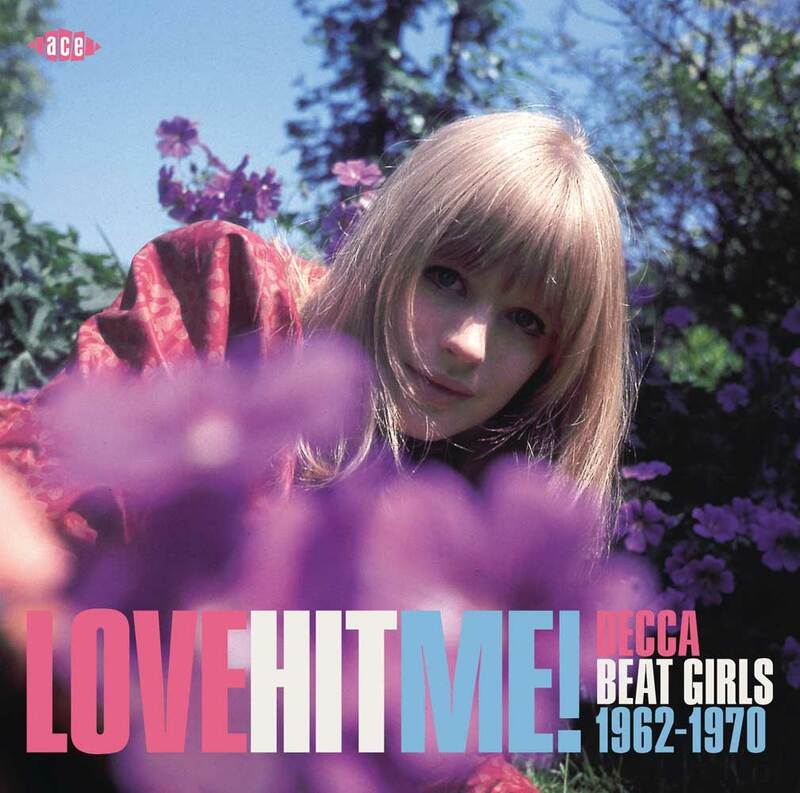 Both tracks have stood the test of time, and are welcome additions to Love Hit Me!-Decca Beat Girls 1962-1970. With girl groups the flavour of the month Stateside, A&R executives were being encouraged to find and sign their own girl groups. 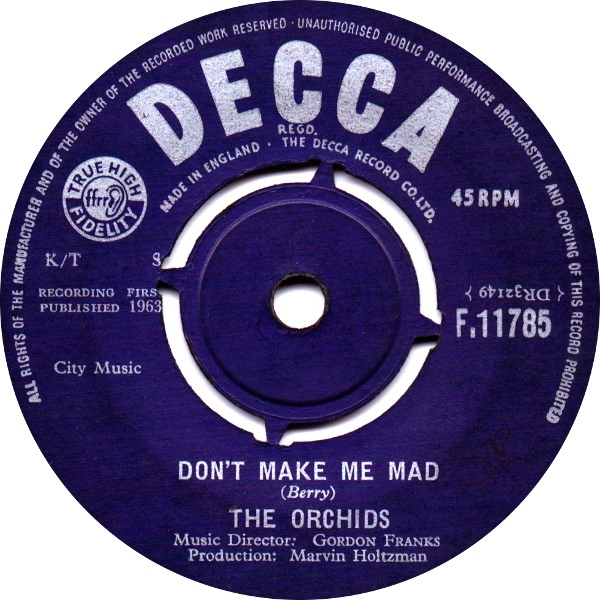 One of Decca’s girl groups were The Orchids. They enjoyed commercial success on both sides of the Atlantic. In America, The Orchids were known as The Blue Orchids. Their finest single was sophomore single, Love Hit Me. It was produced by Shel Talmy and Michael Stone. They also produced the B-Side Don’t Make Me Mad. When Love Hit Me was released in 1964, it gave The Blue Orchids the biggest hit of their career. 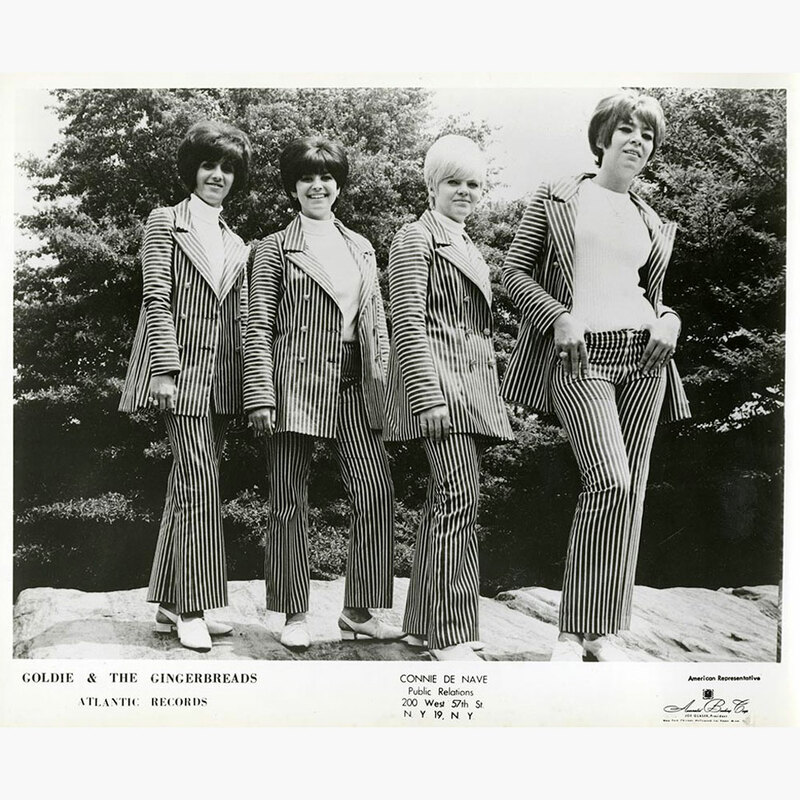 Nowadays, The Orchids are regarded by many as Britain’s only true girl group. 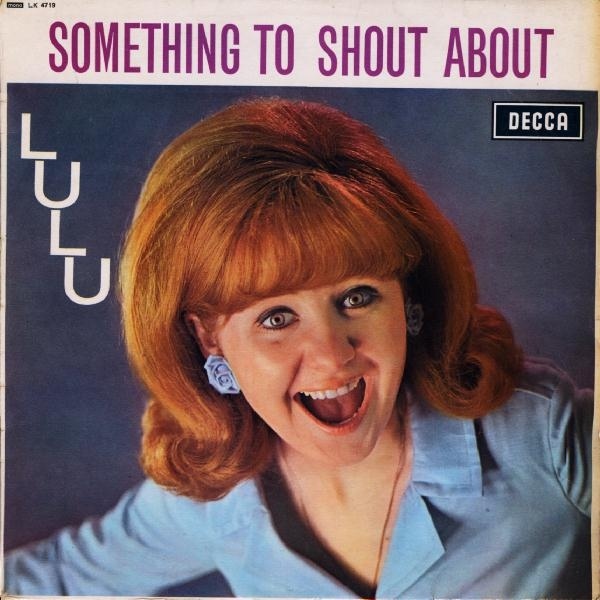 When Lulu released her debut album Something To Shout About in 1965, little did she realise that her career would still be going strong in fifty years. One of the highlights of Lulu’s debut album was I’ll Come Running. It was produced by Bert Stearns and features none other than Jimmy Page on guitar. I’ll Come Running is a stomper, and features a vocal powerhouse from the Glasgow born singer. Two years later, in 1967, and I’ll Come Running was released as a single on London Records and showcases the vocal prowess of the inimitable Lulu. Another Glasgow born singer, was Barry St. John. Just like Lulu, she was signed to Decca in the early to mid sixties. 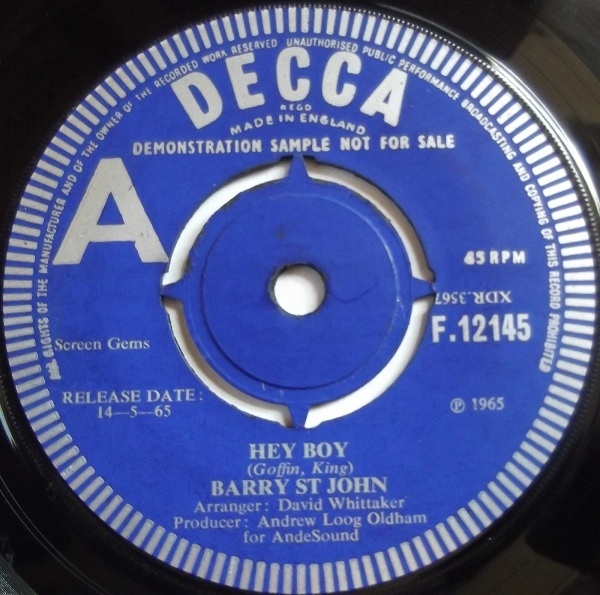 She released Hey Boy as a single in May 1965. It was produced by Andrew Loog Oldham, and oozes drama, emotion and quality. Sadly, commercial success eluded Barry St. John, and by the seventies, was one of the top session singer in Britain. Barry St. John had found her calling; and worked with Pink Floyd, Elton John and Rick Wakeman. Elkie Brooks is another artist who would go on to enjoy and long successful career. In 1965, her career was in its infancy when she hooked up with producer Ian Samwell. He produced Elkie’s cover Robert Rogers and Smokey Robinson’s The Way You Do The Things You Do, which would later give The Temptations a huge hit single. However, Elkie Brooks got their first, and delivers a version pop and soul melt into one. Accompanied by horns and harmonies, Elkie Brooks brings something new to this future soul classic. Many artists only have the one hit single. This includes Louise Cordet. Her one and only hit single came in 1963, with I’m Just A Baby. 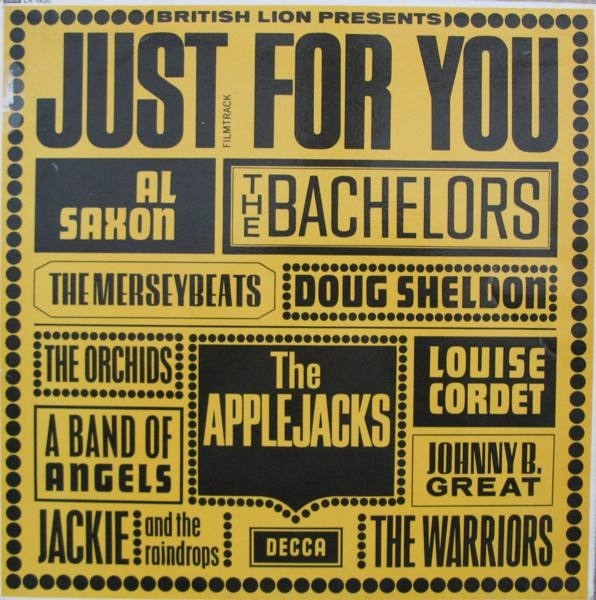 A year later, in 1964 So Hard To Be Good found its way onto the soundtrack for Just For You. Louise even features in the film, where she ints So Hard To Be Good, It was produced by Tony Meehan, and features a vocal that’s flirtatious and coquettish. In 1960, Save The Last Dance For Me gave The Drifters the biggest singles of their career. It had reached number one in the US Billboard 200 and US R&B charts. Across the Atlantic, Save The Last Dance For Me reached number two in Britain. Four years later, a cover version of Save The Last Dance For Me was released by Jean Martin. It was the followup to Jean Martin’s 1963 debut single, Ain’t Gonna Kiss You. When Save The Last Dance For Me was released in 1964, the single sounded not like Helen Shapiro. So much so, that later, people would speculate that Jean Martin was an alias of Helen Shapiro. This was wrong. Sadly, Jean Martin didn’t enjoy the longevity that Helen Shapiro did, and Save The Last Dance For Me proved to be her swan-song. 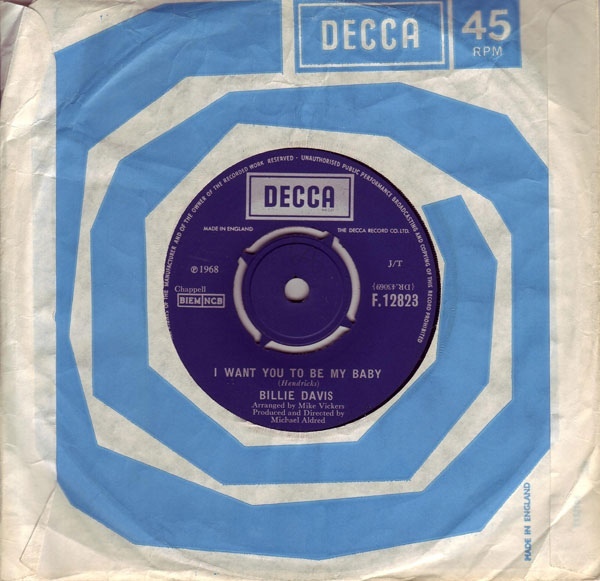 Closing Love Hit Me!-Decca Beat Girls 1962-1970 was Babbity Blue’s debut single Dont Make Me (Fall In Love With You). It was penned by Chip Taylor, and released in 1965. Dont Make Me (Fall In Love With You), which is a tender, sensuous ballad reached number forty-eight in the British charts. However, that was Babbity Blue’s only hit single. When the followup Don’t Make Me failed to chart later in 1965, Babbity Blue turned her back on the music industry. That’s the story of Ace Records’ recently released compilation Love Hit Me!-Decca Beat Girls 1962-1970. It’s a captivating compilation featuring familiar faces and new names. Among the familiar faces are Elkie Brooks, Lulu and Marianne Faithfull. Their careers were in their infancy, and they would go on to enjoy long and successful careers. They were the lucky ones. Other artists didn’t enjoy the same longevity or success.That’s despite releasing memorable and melodic examples of perfect pop. Sometimes, it’s hard to believe that commercial success passed these singles by. It’s no wonder that some of the artists on Love Hit Me!-Decca Beat Girls 1962-1970 turned their back on music. Often, reality kicked in, and artists realised that three or four years of struggling was enough. It was time to try something else. Other artists, including Jean Martin and Babbity Blue only released a couple of singles, but when they didn’t enjoy commercial success, realised their future lay elsewhere. There was no point kidding themselves. Others, however, refused to give up on the dream. They reasoned that the difference between success and failure was slim. Maybe, just maybe, their next single would result in that elusive hit single? However, often, there was no justice, as perfectly good songs failed to find an audience. Eventually, artists realised that it was the end of the road. If they didn’t, someone else would take that decision for them. As a result, some of the artists who had been ‘discovered’ by Decca’s talent scouts, returned to the monotony of the 9-5 lifestyle. For them, the dream was over. For others, the journey had just begun. Elkie Brooks, Lulu and Marianne Faithfull were the lucky ones. Commercial success and critical acclaim came their way, and they’ve enjoyed long and illustrious careers. Love Hit Me!-Decca Beat Girls 1962-1970 will bring back memories of the early years of their career, for Elkie Brooks, Lulu and Marianne Faithful and all the Decca Beat Girls. ← CALIFORNIA SOUL-FUNK AND SOUL FROM THE GOLDEN STATE 1967-1976.